During Sylvia Sanchez’s contract renewal with Beautederm Corporation, a premium distributor of beauty products, some members of the press were joking that the actress must have the fountain of youth in her backyard. Seasoned actress Sylvia Sanchez looks “extra younger” than her actual age mainly because she's at the happiest stage of her life. In two years’ time, Sylvia is hitting the big five-oh. That’s right, she’s turning 48 on May 19, and yet she appears to have hardly aged since we saw her on the small screen. “Peace of mind is one of my beauty secrets. I guess when you’re happy inside, that reflects on the outside. I am blessed with good skin but the products I’m using make my skin look even better,” the actress revealed. “I need to take care of my health and feel good about myself before I can spread love to both my family and my career. This product makes me feel beautiful. It has been part of my daily regimen for many years now, and it never fails to refresh my skin,” she continued. As one of today’s most accomplished actresses whose amazing career spans over three decades. She has appeared in over 50 mainstream films of various genres such as drama, comedy, action, and horror, including the recent cinematic release Jesusa and the upcoming film OFW – both of which she is the lead star. On television she has appeared in over 40 series and drama anthologies until her breakthrough role as Teresita on the daytime, romantic-comedy Be Careful With My Heart, which led to her first ever lead role as Gloria on The Greatest Love, which ran with phenomenally high ratings and much critical acclaim on ABS-CBN from September 2016 to April 2017. For her superb performance as Gloria on The Greatest Love, Sylvia was honored with Best Actress Awards from prestigious award-giving bodies such as Gawad Tanglaw and KBP Golden Dove Awards. Currently, Sylvia started shooting for a brand new series on ABS-CBN titled Kapalaran where she will be starring opposite Arci Munoz, JM De Guzman, and Joey Marquez. In her personal life, Sylvia is a mother of five and is happily married to businessman Art Atayde. As an actress and a homemaker, Sylvia juggles her time in between movie and TV sets and her beautiful home in Quezon City. And it is exactly hard-work, determination, and steadfast faith coupled with Sylvia’s unwavering commitment to excellence that makes her partnership with Beautederm a match made in heaven as both give high premium to the same values. “Sylvia is a huge inspiration to so many women who are wearing so many caps in their lives—women with careers who are also wives and mothers, like myself,” says Rhea Anicoche-Tan. “Sylvia represents so many working mothers who are balancing both career and family. She is also trusted by countless Filipinos and as a brand ambassador of Beautederm, I must say that she has really helped the company in its success today,” she added. According to Sylvia, Beautederm has opened so many doors to a lot of people. It has given a lot of women the opportunity to be financially independent. GMA Network’s Chief Marketing Officer (CMO) Lizelle G. Maralag is the recipient of the 13th Hildegarde Awards for Women in Media and Communication for the Advertising category. The prestigious award is given by the Mass Communication Department of St. Scholastica’s College, Manila to recognize the outstanding women media practitioners who have helped pave the way to improve the welfare of the youth today. 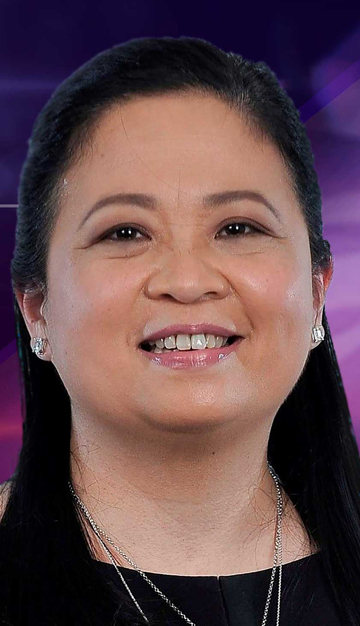 Prior to joining GMA in 2010, Maralag held an outstanding career as an advertising media professional spanning two decades, wherein she also drove Starcom Mediavest Group Philippines, Inc. in becoming the number one media agency in the market during her time as the Managing Director. She was also the founding co-chairperson of the Media Specialists Association of the Philippines from 2008 to 2009. Maralag is set to receive the award on April 24 at the St. Cecilia’s Hall, St. Scholastica’s College.